Pavão-Pavãozinho, where Douglas had gone to rehearse with his band, is one of the nearly forty slums that have been subjected to a police pacification program (UPP), designed to seize back control of areas from Rio’s drug trafficking gangs and to diminish homicide rates. Since the program was launched in 2007 to improve Rio de Janeiro’s public safety problem prior to the World Cup and the 2016 Summer Olympics, it has indeed contributed to the successful 50 % drop in killings between 2002 and 2012. Ironically, it has simultaneously brought lethal police violence to the forefront with several cases of civilian victims like Douglas in numerous UPP favelas. The executions have further provoked a nation-wide debate on the necessity of a thorough reform of the Brazilian police forces. Violence, bad training, rampant corruption and impunity are the four evils that abound in the criticisms of the institution. Some even claim the repressive machinery, a hangover of the past military regime, has contributed to and currently maintains the culture of violence Brazil is internationally famous for. The antipathy towards the pacifying police forces is palpable when one visits Rocinha, one of South America’s biggest favelas. According to the 2010 census approximately 70,000 people inhabit its monochrome concrete and brick houses built on the steep hills overlooking the sea, not far from the luxurious Ipanema and Leblon beaches in Rio de Janeiro’s south zone. The Pacifying Police guards stand here with full gear and reserves of ammunitions, patrolling several street corners. Before they were the foot solders of drug trafficking gangs who dictated law and order in the slum. “The UPP first brought hope of a better future, but then the trouble started”, theater pedagogue Michele Laserda says one sunny April morning on the roof terrace of her shack in the heart of Rocinha. “Youngsters have been maltreated, girls sexually harassed. And then they took away my uncle, tortured and killed him”, she adds and points to the police quarters in the bushes where her uncle Amarildo supposedly took his last breath. His body was never found. Bricklayer’s assistant Amarildo de Souza disappeared after he had been called in for questioning by police on the 14th of July 2013 as part of a raid targeted against Rocinha’s drug dealers. His case became the parable for the protest movement against police violence that adopted the phrase “Who killed Amarildo?” as its slogan. People recently returned to the streets in the Alemão shanty town when a 10-year-old boy was allegedly shot dead by police during an operations against drug gangs in the beginning of April. “Our police still have blood on their hands, and are allowed to act with impunity as extra-judicial killings remain rife in Brazil’s major cities,” Atila Roque, director of Amnesty International Brazil told the Independent right after the incident. According to the human rights organization, police in Brazil are responsible for nearly 2000 deaths a year. It is the peculiar history of Brazil’s militarized police that at least partly explains the cruelty with which police deal with suspects. The torture technics and the ease with which the officers resort to arms resemble practices of an army at war. “The ostensible militarized police was formed in 1969 and is still today organized in the same way”, says Dr Bruno Pães Manso, who has studied homicides in Brazil’s other megacity, São Paulo, between the years 1960 and 2000. Killer police units were initially introduced into the police forces to target leftist dissidents during the military dictatorship 1964-1985. According to Pães Manso, after the guerillas had been defeated the Militarized Police carried on using homicide as a repressive measure to control crime. Repression, torture and killings were similarly adopted by private death squads, in which off-duty police officers often collaborated. Violence spread fast. In the beginning of the 80ies São Paulo’s suburbs alone had over 1000 patrolling rival death squads. Between the years 1960-2000 homicides increased by 900 % in the megalopolis. In this atmosphere in which killing became the norm, the civilian police were weakened and reduced to the role of passive bystanders. Petty gangs went around mugging and stealing. Drugs entered the picture first in the 90ies and expanded the battlefield. “Homicide produces homicide. When no police force is there to defend you or to enforce justice, your options are to either move out or to kill to survive”, Pães Manso explains and compares the rapid increase in homicides to a virus epidemic. São Paulo finally managed to bring killings under control in the beginning of the millennium by applying well-prepared public security measures. Social programs accompanied police raids to areas where data showed particularly high rates of gang violence and homicide. The rates of violent crime plummeted with 69 % between 2002 and 2012. People had also grown tired of living in constant fear that eventually harmed more than brought benefits. “Criminals want to steal and sell drugs, whereas killing costs lives. Theft and drug trafficking become more lucrative businesses if you do not have to go around killing people”, Pães Manso explains. But like Rio de Janeiro’s success story with the pacification program, São Paulo’s attempt to get crime under grip has had its downside. Homicide rates have slowly started rising since the 6-year-long truce between the police and the increasingly powerful gang, the First Capital Command, was reportedly broken in 2012. Moreover, while homicide rates have generally fallen in Brazil’s two largest cities since 2000, in other parts of the country violence has gotten worse. The national average of 154 homicides per day is these days (2012) the highest since data collection began in 1980. In 2012 more people died in Brazil than during the 1994-96 Chechen war. Even the great years of economic growth and welfare programs that lifted 35 million people out of extreme poverty in the past 12 years and decreased the inequality gap have not been able to eradicate the homicide epidemic. Insecurity prevails but 70,1% of Brazilians says they mistrust the police, according to a study conducted by the Getúlio Vargas Foundation. The topic engages whole Brazilian society. Safety is discussed around dinner tables at home and as part of public policy debates. It is no wonder why the first question in the nation-wide televised debate between the candidates of the recent presidential race was how they would tackle the over 50,000 homicides that take place in Brazil every year. Uneasiness with rising violence is expressed in popular culture. Last year Rio de Janeiro’s Film Festival, which took place in the beginning of October, screened five documentaries that deal with police violence. Estopim explored the disappearance of the bricklayer assistant Amarildo and Mater Dolorosa followed Douglas Pereira’s mother, Maria de Fátimá as she seeks justice after the death of her son. The other three dealt with police corruption, a young drug trafficker who is injured by the police killer squad and the struggle of Brazil’s youth who grew up among crime and guns. There is awareness, no doubt, that improved measures are needed. But what is it that would bring urban violence under control and curb the shocking homicide rates if initiatives such as UPP disseminate more fear than a sense of safety? The first step might be to reshuffle the core of the inefficient, unjust and repressive public security forces that sustain the horror; to transform them into institutions that serve people instead of waging a war against them, into institutions that properly investigate before pulling the trigger. “Public policies such as the creation of the Pacifying Police Forces cannot be enacted sustainably without a thorough reform of the Brazilian police forces”, claims Dr Luiz Eduardo Soares, ex-minister of Public Security and one of the authors of the books on which the Elite Squad 1 and 2, popular films on police violence, are based. In his blog the avid advocate of police reform lists three major problems with the current organizational structure of the Brazilian police forces; their militarized nature, their division into Militarized Police and Civil Police, and the strict internal hierarchies within these institutions, which provoke animosities and threaten institutional cohesion. “An official can detain a sergeant arbitrarily for whatever reason, like a dirty uniform or uncombed hair, without the sergeant having a possibility to defend his right or to ask for a procedure that would investigate or justify the punishment. This insurmountable duality is the cause of the severest problems”, Soares states. In his proposed amendment to the constitution Soares calls for a thorough demilitarization of the police, the creation of one unified police force and a fairer division of labor within the institution. Soares is not alone supporting the demilitarization of the Brazilian police. 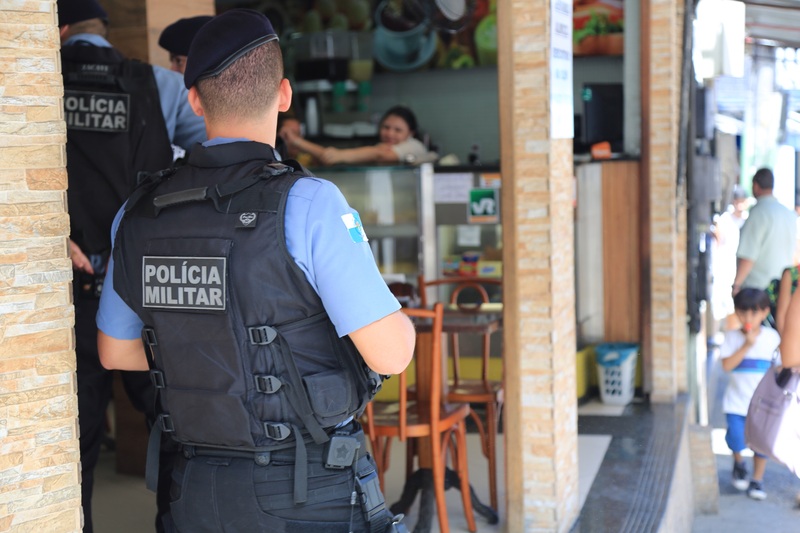 According to a study by the Brazilian Forum of Public Security, 77,2% of the 21 000 interviewed professionals within the police forces were in favor of demilitarization. “The Militarized Police kills a lot but also many of them die. They are also victims”, Atila Rogue, director of Amnesty Brazil, said in an interview screened by Record News Journal in the end of August. The peculiarity of the Brazilian police forces is the division into a Militarized Police that patrols the streets and to the Civil Police that investigates crimes. This artificial division has created problems in various states. In the northeastern state of Alagoas, which today leads Brazil’s homicide rankings with 64 homicides per capita, the rise of violence after 2009 indeed coincided with disagreements between the Militarized and the Civil Police. The quarrel led to a considerable loss of efficiency in public security policies. Between 2006 and 2012 the secretary of public security of Alagoas was an ex-colonel of the Militarized Police whose style of leadership was not popular among the officers of the Civil Police. The latter organized strikes, neglected its responsibilities and fostered an atmosphere of impunity. Concurrently, the capital Maceió’s municipality was living a power vacuum with its leaders changing several times within a two-year period, which hampered the enactment of education and other local security policies. “The inefficiency in providing the services that should have been offered to the population hastened Maceió’s invasion by drug traffickers”, Mônica Suruagy, the Assistant Secretary of Municipal Community Safety points out. The disparity between the two police institutions also feeds violence, including extrajudicial killings of petty criminals by police officers, according to sociologist Bruno Pães Manso. An example of this was the video that went viral on the internet a few months ago where a camera installed in a police vehicle revealed two officers taking a young black man up a hill in Rio and killing him. “The Militarized Police that is not involved in doing justice, is prone to use measures of private justice before handing a criminal over to the chief of Civil Police, “ Manso says. The dysfunctional cooperation between the Militarized and the Civil Police inevitably fuels impunity within an equally slow judicial system. Only 8 % of homicide cases are condemned in Brazil according to the Map of Violence published in 2012 by the Latin American Faculty of Social Sciences. This is a remarkably low percentage, when you consider that Brazil has the fourth largest prison population in the world after the United States, China and Russia. The pace with which the cells are being filled is considerable. The Brazilian prison population has gone up from 160,000 in 1995 to 540,000 in 2013. Jails are overloaded with young, petty criminals mostly of afro-Brazilian origin. Drug lords manage their business from behind the bars and recruit young prisoners into gangs. Only 12 % of all prisoners have been sentenced for lethal crimes. The equation shows that although prisons are congested, killers roam free. Despite the fact that presidential candidates all eagerly promised to tackle the public security problem once elected, Pães Manso is skeptical whether enough will be done in the coming years. Pães Manso refers to the re-elected President Dilma Rousseff, who boasts about successful security measures during the World Cup when the government managed to keep football tourists safe and when news about cruel police response to protests was overrun by euphoric sports reporting. Heidi Lipsanen is a Finnish journalist and a MA candidate at Columbia Journalism School. She was foreign correspondent for the Finnish Broadcasting Company YLE in Brazil during the FIFA World Cup.